This summer, Alexander Romanov for the first time made the CSKA training camp roster and managed to win Igor Nikitin’s trust. The young defenseman already played 16 games with the Red Army and did not miss a single match so far. Alexander Romanov spent his childhood in Odintsovo, a city and administrative center in the Moscow Region. By the way, he never changed his home address, even if he gets there much more rarely. And for a good reason, as now his schedule is packed with practices, camps, and games. The CSKA defenseman, son of former player and nowadays players’ agent Stanislav Romanov, learned to skate when he was only four. Soon, his father would get him playing for the Krylya Sovetov. As Alexander remembers, it was a mere geographical matter, as their rink was close to home. “Alexander was playing with the 1999 group, while I was coaching the 2000-born kids. After a while, he was sent back. Since the first day, he was above his peers because of his courage and hard work. He was a true leader with a never-give-up attitude. At first, he was playing forward. But he was massive and lacked a bit some offensive smarts. He always had a big shot and an excellent reading of the game. Thus, I offered him to play on defense. He was a bit upset about it, but he agreed. In his first game after the position change he scored one or two goals, so he calmed down and started working on his defensive play. As we already said, Romanov comes from a real hockey dynasty. He always has something to analyze the games with and to try and find mistakes. How can it be different, when your father won the Russian Superleague title in 2000 with Dynamo Moscow, and your grandfather is Ak Bars’ head coach Zinetula Bilyaletdinov, three-time Gagarin Cup winner? “My grandfather always had a huge impact on me, both on and off the ice. I think that it didn’t matter much for him if I was playing on defense or as a forward. However, I think that he is happy that he can teach me how to play in his same role, as he was a defenseman. My grandpa and I talk pretty much after any single game. He watches most of my games on tape. He actively follows me, and we often analyze my games,” Romanov said about Bilyaletdinov. 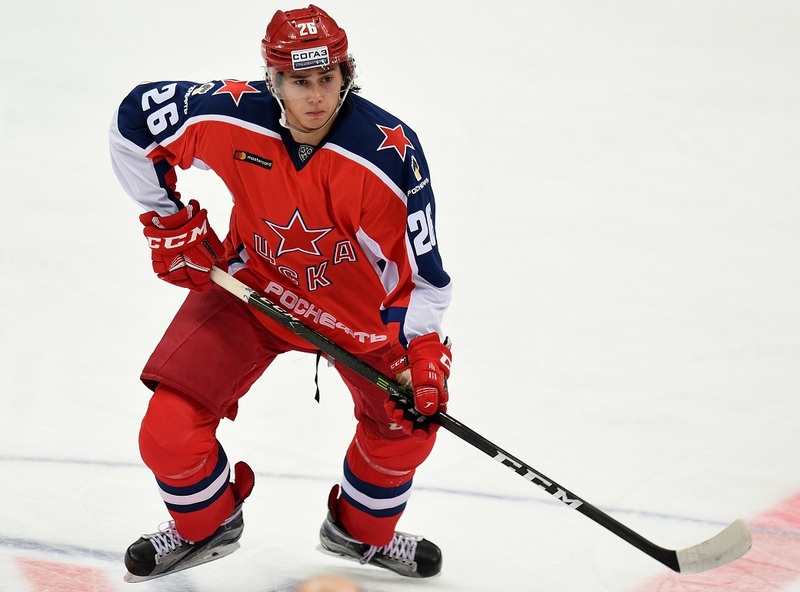 After a season in the JHL, this summer Romanov was called to the CSKA training camp. It wasn’t easy to adapt to the new challenge. According to his words, there was a massive difference in the practices and the attitude. Everything is done at a much higher speed, and the intensity is entirely different. However, he was there with his peer Nikita Rtishchev, and the new teammates helped him in adapting fast. 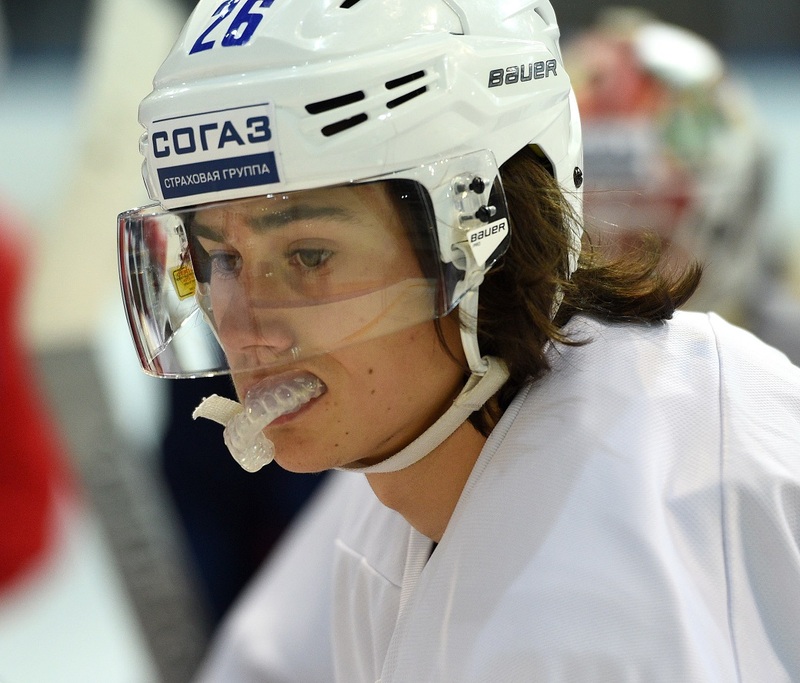 In April, Romanov was called to the national team to represent Russia at the U18 WJC at home soil. It was his first big international tournament, and his feelings were unforgettable. But Alexander also wanted to share his impressions about the quarterfinals defeat against Team USA. Last summer, a huge event happened in Romanov’s career as he was drafted in the NHL by the Montreal Canadiens with the 38th overall pick. But for now, the young defenseman isn’t thinking much about it as he is focused on helping the CSKA to win the Gagarin Cup. Moreover, he doesn't forget about school as he is now attending the Moscow State University of Management, specializing in Sports Management. Alexander doesn’t allow himself to miss any lesson without a valid reason and for now, is having good results. Born: Jan. 6 2000 in Moscow, Russia.